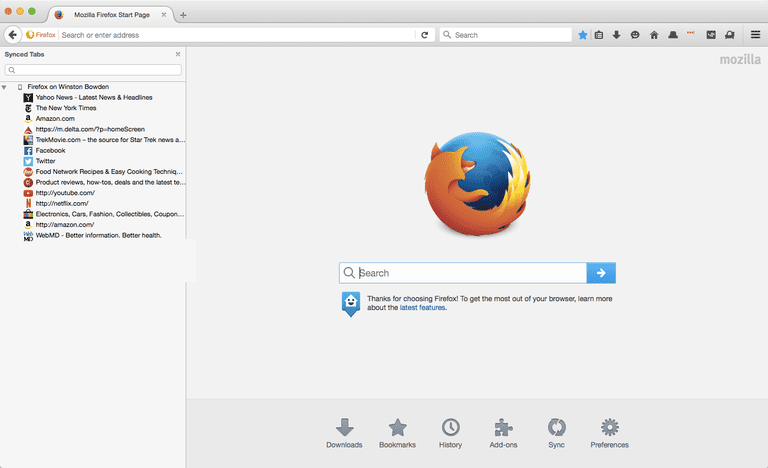 This guide explains how to uninstall Firefox for Mac. Firefox is an internet browser developed by the not-for-profit Mozilla Foundation (and also by its for-profit subsidiary the Mozilla Corporation). It's generally an excellent alternative to Safari, Google Chrome, Opera and other major browsers, although it can be the case that, if you're a Mac user, you might want to uninstall it from your computer. This could be because you've decided to use another browser, or because you're having problems with Firefox and want to try uninstalling it before installing a newer version. This article shows how you can do this. It runs through the steps for deleting Firefox from your Mac, as well as the steps you need to take to remove any additional Firefox-related files that might be stored in your Mac's Library. In contrast to Windows-based PCs, uninstalling apps from your Mac is an almost ridiculously easy process. There is no need to download and/or run an uninstaller program, and no need to twiddle your thumbs waiting while this program uninstalls the unwanted app. Instead, all you have to do to uninstall apps is send them to your Mac's Trash, and Firefox is no exception. Launch Finder. To do this you can either click Finder on your Mac's Dock (which can be found at the bottom of the Mac's screen), or you can simply press Command + Space bar and then type "Finder" into the Spotlight search field. Click the Applications tab. This can be found on the left-hand column of Finder's window. Scroll down and right-click Firefox. If right-clicking is unavailable to you, just click the Firefox icon (in the Applications folder) and then go the File menu and select Move to Trash. That's it. However, it's worth bearing in mind that, after you move Firefox to Trash, it will remain in the Trash bin/folder for 30 days, at which point it will be automatically and permanently deleted from your Mac. So if you happen to have second thoughts, you have the chance to quickly restore Firefox to your Applications, provided that you act within 30 days, of course. You can also uninstall Firefox for Mac by using a slightly modified version of the process above. Instead of going to Finder, you can instead open Launchpad, which is where your Mac's various apps can be accessed and opened. Open Launchpad. To do this you can either click Launchapd on your Mac's Dock (which can be found at the bottom of the Mac's screen), or you can simply press Command + Space bar and then type "Launchpad" into the Spotlight search field. Click and hold the Firefox icon, and then drag it into Trash (which can be found on the Dock). As stated above, moving Firefox to the Trash folder effectively uninstalls it from your Mac. However, as with the uninstallation of other apps, you may find that certain Firefox-related files remain saved to your Mac even after you trash Firefox itself. You don't have to remove these files, but if you are completionist, read on. Click the Go menu (which can be found in the menu bar at the top of the Mac's screen). Hold the Option/Alt key. You'll notice a new menu item called Library will appear when you hold down the Option/Alt key. Click Library, which will appear between Home and Computer after you press and hold the Alt/Option key. Click Move to Trash. (You can also just drag it to the trash can).